High quality promotional Button Badges & Fridge Magnet Bottle Openers are the fun, yet powerful and cost effective way to put your message across. 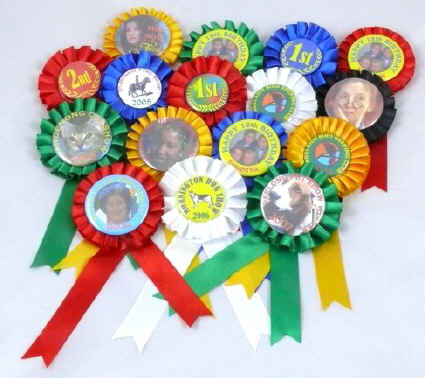 By creating an interesting talking point between customers and staff, promotional badges are proven to help increase sales. 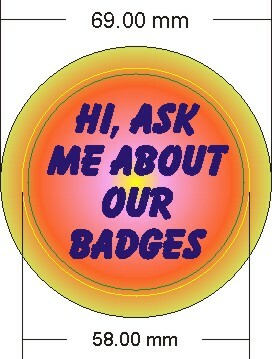 So what better way to promote your company, product, service or event? 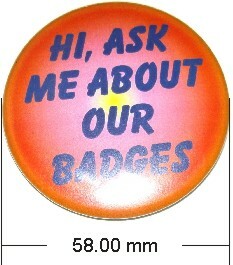 All our Button Badges are Dia 58mm, 44mm & 25mm are supplied ready to wear and fitted with a pin. No setup charge if artwork supplied to our specification (sample below).Artwork : CMYK 300dpi JPEG or TIFF file. Our preferred format is CDR (Corel Draw), however PDF, EPS & AI are also accepted. (all text must be converted to curves/outlines before saving your artwork)Please contact us if you have concerns about your image file or format. 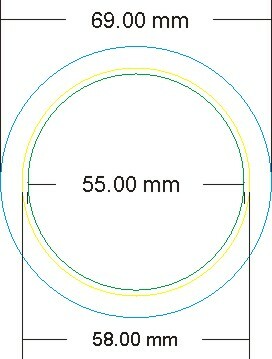 Please ensure that all artwork is to size:Blue circle – 69mm includes approx 5mm of bleed to cover the sides of the badge face.Yellow circle – 58mm badge face.Green circle (safe area) – 55mm should contain all important information that you would not like to flow over the edge of badge. Sample of artwork imposed, before printing.